Happy Monday! So last week I had the best of intentions to post every day and share lots of gift ideas, gift guides, style inspiration and then that totally went out the window. Dylan was home sick for a day, Jackson had a snow day and we spent a ton of time getting things ready for Christmas around here. Thankfully, I think we’re close, and also thank goodness for Amazon Prime getting our gifts here on time! What did we do before we had that? This week is crazy busy with work, but I’m considerably more prepared and I do have some fun posts headed your way – starting today! 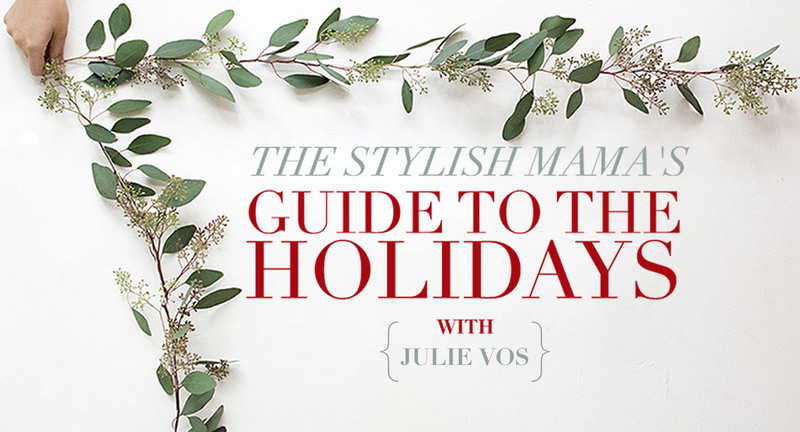 I’m super excited to share these beautiful Julie Vos jewelry pieces with you! I’ve found that, lately, I really love wearing yellow gold, which is a change for me. These pieces are also really fabulous to mix, match and stack. I’ve had this cuff bracelet for a little while now but I love adding this link bracelet to it for a little bit of a different texture. I had also been looking for a statement ring to go with a few of the other delicate pieces I’ve gotten recently and I’m loving this Caspian ring. It’s adjustable and I’ve been able to wear it on my pointer and middle fingers. I also have mention this cozy sweater! I’ve had a thing for Free People lately and this sweater is one that I picked up with some birthday money a few weeks ago. It’s oversized and probably best layered with a tank or a cute lace bralette (if that works for you – it doesn’t for me!). But it comes in a bunch of colors and if you have some downtime planned over the next few weeks, it’ll easily be something you can throw on and cozy up in!